Ender prequel series coauthor Aaron Johnston on Ender and the evolution of the child hero. Burn Notice creator Matt Nix on Ender's Game as a guide to life. Hugo award-winning writer Mary Robinette Kowal on how Ender's Game gets away with breaking all the (literary) rules. Retired US Air Force Colonel Tom Ruby on what the military could learn from Ender about leadership. Bestselling YA author Neal Shusterman on the ambivalence toward survival that lies at the heart of Ender's story. Plus pieces by Hilari Bel, John Brown, Mette Ivie Harrison, Janis Ian, Alethea Kontis, David Lubar and Alison S. Myers, John F. Schmitt, Ken Scholes, and Eric James Stone. 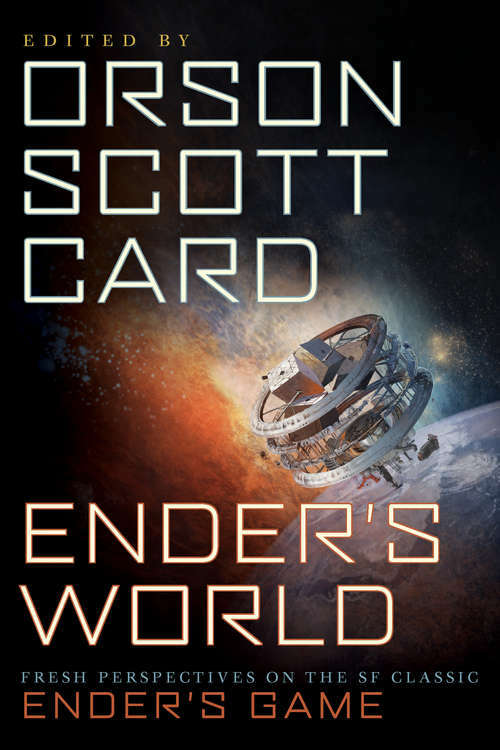 Also includes never-before-seen content from Orson Scott Card on the writing and evolution of the events in Ender's Game, from the design of Battle School to the mindset of the pilots who sacrificed themselves in humanity's fight against the formics. Hugo and Nebula Awards winner.